To meet our obligations under the Clean Water Act, DWQ compiles all existing and readily available data to determine whether water quality is sufficient to meet the beneficial uses assigned to Utah’s waters. Results are summarized biennially in the Integrated Report (IR). The IR consists of three parts. 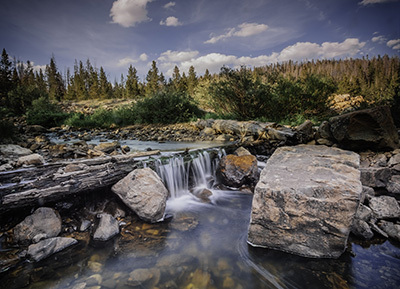 Part 1 describes the assessment methods, Part 2 is a summary of the overall condition and significant water quality threats to the beneficial uses of Utah’s waters (305(b) Report), and Part 3 is the list of impaired waters that fail to meet water quality standards or are biologically impaired (303(d) List). This report allows DWQ to prioritize where limited resources can be most efficiently and effectively applied to address water quality problems. Remediation plans (typically TMDLs) are developed for impaired waters, which are then implemented with the assistance of the State Revolving Fund (SRF) or the nonpoint source program. The Clean Water Act requires a formal 30-day comment period for the IR before it can be submitted to the EPA for approval. Public comments are used by DWQ to identify potential shortcomings in our current monitoring and assessment approaches. Also, while we try to assess as many waters as possible, our stakeholders frequently highlight previously unknown water quality concerns. Once the IR is complete, DWQ submits the report, along with public comments and our response to these comments, to EPA for approval of the 303(d) list of impaired waters. EPA reviews the report to ensure that assessments were based on all existing and readily available data and that each assessment is legally and scientifically justified. EPA maintains the ability to approve, deny, or partially approve the 303(d) list by reclassifying any site as impaired (not meeting designated uses).